DESIRABLE FEATURES: LEATHER, REMOTE ENTRY, FOG LAMPS, and PREMIUM AUDIO. This front wheel drive 2006 Chrysler Sebring Conv Limited features a Bright Silver Metallic exterior with a Light Taupe interior and has only 100,501 miles. TECHNOLOGY FEATURES: This used Chrysler Sebring Conv includes a Premium Sound System, Steering Wheel Audio Controls, Keyless Entry, an Anti Theft System, an AM/FM Stereo, and a Single-Disc CD Player STOCK# R1768 PRICED BELOW MARKET RETAIL VALUE! Heyward Allen Toyota has this used 2006 Chrysler Sebring Conv Limited for sale today. Don't forget Heyward Allen Toyota WILL BUY OR TRADE FOR YOUR USED CAR, USED TRUCK and/or USED SUV! Our Dealership in Athens, GA: Call Heyward Allen Toyota today at (706) 433-0433 TO SCHEDULE YOUR TEST DRIVE of this 2006 Chrysler Sebring Conv Limited! Heyward Allen Toyota serves Athens and the surrounding Georgia cities. You can also visit us at, 2910 Atlanta Hwy Athens GA, 30606 to check it out in person! MECHANICAL FEATURES: This Chrysler Sebring Conv comes factory equipped with an impressive 2.7l v6 mpi dohc 24v engine, an automatic transmission. Other installed mechanical features include Power Windows, Traction Control, Front Wheel Drive, Power Mirrors, Power Locks, Cruise Control, Disc Brakes, Intermittent Wipers, a Trip Computer, Power Steering, Remote Trunk Release, Variable Speed Intermittent Wipers, and a Spare Tire (Small Size) INTERIOR OPTIONS: Leather Seat Trim, a Power Drivers Seat, Wood Trim, a Leather Wrapped Steering Wheel, an Adjustable Lumbar Seat(s), an Adjustable Steering Wheel, Bucket Seats, Air Conditioning, a Driver Illuminated Vanity Mirror, a Passenger Illuminated Visor Mirror, a Rear Window Defroster, Floor Mats, and Vanity Mirrors EXTERIOR OPTIONS: Fog Lights, Chrome Wheels, a Convertible Soft Top, and an Auto Headlamp SAFETY OPTIONS: a Drivers Air Bag, Anti-Lock Brakes, an Auto Dimming R/V Mirror, an Emergency Trunk Release, and a Passenger Air Bag We're glad you found this used Chrysler Sebring Conv for sale at our car dealership in Athens, GA. Looking for financing? Our Heyward Allen Toyota finance specialist will find the best rates available for this used Chrysler Sebring Conv for sale. Heyward Allen Toyota has new cars for sale and used cars for sale in Athens. This front wheel drive used 2006 Toyota Avalon XL features a Titanium Metallic exterior with a Graphite interior and has only 232,884 miles. TECHNOLOGY FEATURES: This Toyota Avalon includes Keyless Entry, a Premium Sound System, Multi-zone Climate Control, Steering Wheel Audio Controls, an Anti Theft System, an AM/FM Stereo, and a Cassette Player STOCK# A021350 PRICED BELOW MARKET RETAIL VALUE! Heyward Allen Toyota has this used 2006 Toyota Avalon XL for sale today. Don't forget Heyward Allen Toyota WILL BUY OR TRADE FOR YOUR USED CAR, USED TRUCK and/or USED SUV! Our Used Car Dealership in Athens, GA: Call Heyward Allen Toyota today at (706) 433-0433 TO SCHEDULE YOUR TEST DRIVE of this 2006 Toyota Avalon XL! Heyward Allen Toyota serves Athens, GA and the surrounding areas. You can also visit us at, 2910 Atlanta Hwy Athens GA, 30606 to check it out in person! MECHANICAL FEATURES:This Toyota Avalon comes Factory equipped with an impressive 3.5l v6 smpi dohc engine, an automatic transmission. Other installed mechanical features Include Power Windows, Power Mirrors, Power Locks, a Spare Tire (Full Size), Front Wheel Drive, Disc Brakes, Cruise Control, Intermittent Wipers, Remote Trunk Release, Variable Speed Intermittent Wipers, a Trip Computer, and Power Steering INTERIOR OPTIONS: Automatic Climate Control, Cloth Seats, a Power Drivers Seat, an Adjustable Lumbar Seat(s), Rear Reading Lamps, Bucket Seats, and an Adjustable Steering Wheel SAFETY OPTIONS: Daytime Running Lights, Knee AirBag, Anti-Lock Brakes, a Drivers Air Bag, a Rear Head Air Bag, a Passenger Air Bag Sensor, Child Proof Locks, a Front Head Air Bag, a Front Side Air Bags, a Passenger Air Bag, and an Emergency Trunk Release We're glad you found this used Toyota Avalon for sale at our car dealership in Athens, GA. Looking for financing? Our Heyward Allen Toyota finance specialist will find the best rates available for this used Toyota Avalon for sale. Heyward Allen Toyota has new cars for sale and used cars for sale in Athens. This front wheel drive 2008 Honda Accord Sdn LX features a Royal Blue Pearl exterior with a Gray interior and has only 197,075 miles. TECHNOLOGY FEATURES: This used Honda Accord Sdn includes Steering Wheel Audio Controls, Keyless Entry, an Auxiliary Audio Input, an Anti Theft System, an MP3 Compatible Radio, an AM/FM Stereo, and a Single-Disc CD Player STOCK# A230179 PRICED BELOW MARKET RETAIL VALUE! Heyward Allen Toyota has this used 2008 Honda Accord Sdn LX for sale today. Don't forget Heyward Allen Toyota WILL BUY OR TRADE FOR YOUR USED CAR, USED TRUCK and/or USED SUV! Our Dealership in Athens, GA: Call Heyward Allen Toyota today at (706) 433-0433 TO SCHEDULE YOUR TEST DRIVE of this 2008 Honda Accord Sdn LX! Heyward Allen Toyota serves Athens and the surrounding Georgia cities. You can also visit us at, 2910 Atlanta Hwy Athens GA, 30606 to check it out in person! MECHANICAL FEATURES: This Honda Accord Sdn comes factory equipped with an impressive 2.4l i4 dohc i-vtec 16v engine, an automatic transmission. Other installed mechanical features include Power Windows, Power Mirrors, Front Wheel Drive, Traction Control, Power Locks, a Tire Pressure Monitoring System, Cruise Control, Disc Brakes, Intermittent Wipers, a Spare Tire (Small Size), Remote Trunk Release, Power Steering, and Variable Speed Intermittent Wipers INTERIOR OPTIONS: Cloth Seats, a Pass-Through Rear Seat, a Driver Illuminated Vanity Mirror, Bucket Seats, an Adjustable Steering Wheel, Air Conditioning, a Passenger Illuminated Visor Mirror, Floor Mats, a Reading Light(s), Vanity Mirrors, a Bench Seat, and a Rear Window Defroster EXTERIOR OPTIONS: Steel Wheels, Wheel Covers, and an Auto Headlamp SAFETY OPTIONS: Electronic Stability Control, Brake Assist, Daytime Running Lights, Anti-Lock Brakes, a Rear Head Air Bag, a Drivers Air Bag, Child Proof Locks, a Front Side Air Bags, a Front Head Air Bag, a Passenger Air Bag Sensor, a Passenger Air Bag, and an Emergency Trunk Release We're glad you found this used Honda Accord Sdn for sale at our car dealership in Athens, GA. Looking for financing? Our Heyward Allen Toyota finance specialist will find the best rates available for this used Honda Accord Sdn for sale. Heyward Allen Toyota has new cars for sale and used cars for sale in Athens. This front wheel drive 2009 Chevrolet Impala LT features a Red Jewel Tintcoat exterior with a Gray interior and has only 127,840 miles. TECHNOLOGY FEATURES: This used Chevrolet Impala includes Multi-zone Climate Control, Keyless Entry, Satellite Radio, Remote Engine Start, an Anti Theft System, an Auxiliary Audio Input, an MP3 Compatible Radio, an AM/FM Stereo, and a Single-Disc CD Player STOCK# A510720 PRICED BELOW MARKET RETAIL VALUE! Heyward Allen Toyota has this used 2009 Chevrolet Impala LT for sale today. Don't forget Heyward Allen Toyota WILL BUY OR TRADE FOR YOUR USED CAR, USED TRUCK and/or USED SUV! Our Dealership in Athens, GA: Call Heyward Allen Toyota today at (706) 433-0433 TO SCHEDULE YOUR TEST DRIVE of this 2009 Chevrolet Impala LT! Heyward Allen Toyota serves Athens and the surrounding Georgia cities. You can also visit us at, 2910 Atlanta Hwy Athens GA, 30606 to check it out in person! MECHANICAL FEATURES: This Chevrolet Impala comes factory equipped with an impressive 3.5l v6 sfi flex fuel engine, an automatic transmission. Other installed mechanical features include Power Windows, Power Mirrors, Front Wheel Drive, Power Locks, Traction Control, a Tire Pressure Monitoring System, Disc Brakes, Cruise Control, Intermittent Wipers, a Spare Tire (Small Size), Remote Trunk Release, Power Steering, and Variable Speed Intermittent Wipers INTERIOR OPTIONS: an Adjustable Lumbar Seat(s), Wood Trim, Cloth Seats, a Power Drivers Seat, an Adjustable Steering Wheel, Rear Reading Lamps, Bucket Seats, a Driver Illuminated Vanity Mirror, a Passenger Illuminated Visor Mirror, Floor Mats, a Rear Window Defroster, a Bench Seat, and Vanity Mirrors SAFETY OPTIONS: Daytime Running Lights, Anti-Lock Brakes, a Drivers Air Bag, a Rear Head Air Bag, Child Proof Locks, a Passenger Air Bag Sensor, a Front Side Air Bags, a Front Head Air Bag, an Emergency Trunk Release, and a Passenger Air Bag We're glad you found this used Chevrolet Impala for sale at our car dealership in Athens, GA. Looking for financing? Our Heyward Allen Toyota finance specialist will find the best rates available for this used Chevrolet Impala for sale. Heyward Allen Toyota has new cars for sale and used cars for sale in Athens. This all wheel drive used 2012 Subaru Forester 2.5X features a Ice Silver Metallic exterior with a Black interior and has only 175,971 miles. TECHNOLOGY FEATURES: This Subaru Forester includes Keyless Entry, an Auxiliary Audio Input, an Anti Theft System, an MP3 Compatible Radio, an AM/FM Stereo, and a Single-Disc CD Player STOCK# A511126 PRICED BELOW MARKET RETAIL VALUE! Heyward Allen Toyota has this used 2012 Subaru Forester 2.5X for sale today. 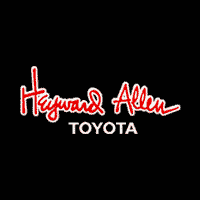 Don't forget Heyward Allen Toyota WILL BUY OR TRADE FOR YOUR USED CAR, USED TRUCK and/or USED SUV! Our Used Car Dealership in Athens, GA: Call Heyward Allen Toyota today at (706) 433-0433 TO SCHEDULE YOUR TEST DRIVE of this 2012 Subaru Forester 2.5X! Heyward Allen Toyota serves Athens, GA and the surrounding areas. You can also visit us at, 2910 Atlanta Hwy Athens GA, 30606 to check it out in person! MECHANICAL FEATURES:This Subaru Forester comes Factory equipped with an impressive 2.5l 4-cylinder dohc 16v vvt engine, an manual transmission. Other installed mechanical features Include Power Windows, All Wheel Drive, Power Mirrors, Power Locks, Traction Control, Disc Brakes, Cruise Control, a Tire Pressure Monitoring System, Intermittent Wipers, Power Steering, and Variable Speed Intermittent Wipers INTERIOR OPTIONS: Cloth Seats, a Pass-Through Rear Seat, Bucket Seats, Air Conditioning, an Adjustable Steering Wheel, Vanity Mirrors, Floor Mats, a Bench Seat, and a Rear Window Defroster EXTERIOR OPTIONS: Steel Wheels, Wheel Covers, and an Auto Headlamp SAFETY OPTIONS: Electronic Stability Control, Daytime Running Lights, Brake Assist, a Rear Head Air Bag, Anti-Lock Brakes, a Drivers Air Bag, Child Proof Locks, a Front Head Air Bag, a Front Side Air Bags, a Passenger Air Bag Sensor, and a Passenger Air Bag We're glad you found this used Subaru Forester for sale at our car dealership in Athens, GA. Looking for financing? Our Heyward Allen Toyota finance specialist will find the best rates available for this used Subaru Forester for sale. Heyward Allen Toyota has new cars for sale and used cars for sale in Athens. This front wheel drive used 2016 Chevrolet Sonic LT features a Red Hot exterior with a Jet Black/dark Titanium interior and has only 64,955 miles. TECHNOLOGY FEATURES: This Chevrolet Sonic includes Steering Wheel Audio Controls, a GPS System, Keyless Entry, Satellite Radio, Remote Engine Start, WiFi Hotspot Capable, an Anti Theft System, an Auxiliary Audio Input, Bluetooth Connection, an AM/FM Stereo, and an MP3 Compatible Radio STOCK# A001972 PRICED BELOW MARKET RETAIL VALUE! Heyward Allen Toyota has this used 2016 Chevrolet Sonic LT for sale today. Don't forget Heyward Allen Toyota WILL BUY OR TRADE FOR YOUR USED CAR, USED TRUCK and/or USED SUV! Our Used Car Dealership in Athens, GA: Call Heyward Allen Toyota today at (706) 433-0433 TO SCHEDULE YOUR TEST DRIVE of this 2016 Chevrolet Sonic LT! Heyward Allen Toyota serves Athens, GA and the surrounding areas. You can also visit us at, 2910 Atlanta Hwy Athens GA, 30606 to check it out in person! MECHANICAL FEATURES:This Chevrolet Sonic comes Factory equipped with an impressive ecotec 1.8l i4 dohc vvt engine, an automatic transmission. Other installed mechanical features Include Power Windows, Heated Mirrors, Traction Control, Power Locks, Power Mirrors, Front Wheel Drive, Cruise Control, Disc Brakes, a Tire Pressure Monitoring System, Intermittent Wipers, a Spare Tire (Small Size), a Trip Computer, Remote Trunk Release, Power Steering, and Variable Speed Intermittent Wipers INTERIOR OPTIONS: Cloth Seats, Rear Reading Lamps, Air Conditioning, an Adjustable Steering Wheel, a Pass-Through Rear Seat, Bucket Seats, Floor Mats, a Reading Light(s), Vanity Mirrors, a Bench Seat, and a Rear Window Defroster SAFETY OPTIONS: Electronic Stability Control, Daytime Running Lights, Brake Assist, Knee AirBag, a Drivers Air Bag, Anti-Lock Brakes, a Rear Air Bag, a Rear Head Air Bag, a Front Head Air Bag, Child Proof Locks, a Passenger Air Bag Sensor, a Front Side Air Bags, a Passenger Air Bag, and an Emergency Trunk Release We're glad you found this used Chevrolet Sonic for sale at our car dealership in Athens, GA. Looking for financing? Our Heyward Allen Toyota finance specialist will find the best rates available for this used Chevrolet Sonic for sale. Heyward Allen Toyota has new cars for sale and used cars for sale in Athens. This front wheel drive 2014 Toyota Camry LE features a Cypress Pearl exterior with a Ash interior and has only 125,797 miles. TECHNOLOGY FEATURES: This used Toyota Camry includes Steering Wheel Audio Controls, Keyless Entry, an Auxiliary Audio Input, an Anti Theft System, an AM/FM Stereo, Bluetooth Connection, an MP3 Compatible Radio, and a Single-Disc CD Player STOCK# A750256 PRICED BELOW MARKET RETAIL VALUE! Heyward Allen Toyota has this used 2014 Toyota Camry LE for sale today. Don't forget Heyward Allen Toyota WILL BUY OR TRADE FOR YOUR USED CAR, USED TRUCK and/or USED SUV! Our Dealership in Athens, GA: Call Heyward Allen Toyota today at (706) 433-0433 TO SCHEDULE YOUR TEST DRIVE of this 2014 Toyota Camry LE! Heyward Allen Toyota serves Athens and the surrounding Georgia cities. You can also visit us at, 2910 Atlanta Hwy Athens GA, 30606 to check it out in person! MECHANICAL FEATURES: This Toyota Camry comes factory equipped with an impressive 2.5l i4 smpi dohc engine, an automatic transmission. Other installed mechanical features include Power Windows, Traction Control, Front Wheel Drive, Power Locks, Power Mirrors, Cruise Control, Disc Brakes, a Tire Pressure Monitoring System, Intermittent Wipers, a Trip Computer, a Spare Tire (Small Size), Tires - Front Performance, Tires - Rear Performance, Power Steering, Remote Trunk Release, and Variable Speed Intermittent Wipers INTERIOR OPTIONS: Cloth Seats, Bucket Seats, an Adjustable Steering Wheel, a Pass-Through Rear Seat, Air Conditioning, a Bench Seat, a Rear Window Defroster, and Vanity Mirrors EXTERIOR OPTIONS: Steel Wheels, Wheel Covers, and an Auto Headlamp SAFETY OPTIONS: Electronic Stability Control, Daytime Running Lights, Brake Assist, a Rear Head Air Bag, a Rear Air Bag, Anti-Lock Brakes, a Drivers Air Bag, Knee AirBag, a Front Side Air Bags, a Passenger Air Bag Sensor, Child Proof Locks, a Front Head Air Bag, and a Passenger Air Bag We're glad you found this used Toyota Camry for sale at our car dealership in Athens, GA. Looking for financing? Our Heyward Allen Toyota finance specialist will find the best rates available for this used Toyota Camry for sale. Heyward Allen Toyota has new cars for sale and used cars for sale in Athens. Recent Arrival! CARFAX One-Owner. Clean CARFAX. Here is a great, inexpensive family functional SUV., 2-Way Power Front Passenger Seat, 5-Gauge Instrumentation, 6-Way Power Driver Seat, 7-Passenger Seating (2-2-3 Seating Configuration), Bluetooth® For Phone, Body-Color Bodyside Moldings, Body-Color Heated Power-Adjustable Outside Mirrors, Bose Premium 10-Speaker Audio System, Leather-Wrapped Steering Wheel, Manual Rear Liftgate Body, Power Windows w/Driver Express-Down, Preferred Equipment Group 4SA, Preferred Package, Rear Audio System Controls, Tri-Zone Automatic Climate Control, Universal Home Remote, Variable Effort Power Steering.Hot Options Include:, Meticulously Detailed inside and out, Passed Rigorous Safety Inspection Performed by a Certified Technician, Fresh Oil Change,Summit White 2009 GMC Acadia SLT-1 FWD 6-Speed Automatic Electronic with Overdrive 3.6L V6 SIDIHeyward Allen is the home of the Worry Free research folder, providing you with complimentary carfax history report, reconditioning repair orders, price comparisons, and for GM vehicles, warranty history and factory build sheets. All Figures Exclude Tax, Tag, Title and registration and INCLUDES Dealer Fees. Dealer retains all rebates. Price does not include Accessories Proudly serving the following communities: Athens, Watkinsville, Bogart, Bishop, Statham, Greensboro, Eatonton, Madison, Jefferson, Commerce, Winder, Monroe, Loganville, Gainesville and Elberton. If you don't see it, we can get it! DESIRABLE FEATURES: BACKUP CAMERA, BLUETOOTH, and REMOTE ENTRY. This front wheel drive used 2015 Chevrolet Equinox LT features a Tungsten Metallic exterior with a Light Titanium/jet Black interior and has only 158,737 miles. TECHNOLOGY FEATURES: This Chevrolet Equinox includes Satellite Radio, WiFi Hotspot Capable, Steering Wheel Audio Controls, Keyless Entry, a GPS System, an Auxiliary Audio Input, an Anti Theft System, an MP3 Compatible Radio, Bluetooth Connection, an AM/FM Stereo, and a Single-Disc CD Player STOCK# A312039 PRICED BELOW MARKET RETAIL VALUE! Heyward Allen Toyota has this used 2015 Chevrolet Equinox LT for sale today. Don't forget Heyward Allen Toyota WILL BUY OR TRADE FOR YOUR USED CAR, USED TRUCK and/or USED SUV! Our Used Car Dealership in Athens, GA: Call Heyward Allen Toyota today at (706) 433-0433 TO SCHEDULE YOUR TEST DRIVE of this 2015 Chevrolet Equinox LT! Heyward Allen Toyota serves Athens, GA and the surrounding areas. You can also visit us at, 2910 Atlanta Hwy Athens GA, 30606 to check it out in person! MECHANICAL FEATURES:This Chevrolet Equinox comes Factory equipped with an impressive 2.4l 4-cylinder sidi dohc vvt engine, an automatic transmission. Other installed mechanical features Include Power Windows, Heated Mirrors, Front Wheel Drive, Traction Control, Power Locks, Power Mirrors, Cruise Control, Disc Brakes, a Tire Pressure Monitoring System, Intermittent Wipers, a Spare Tire (Small Size), Power Steering, Variable Speed Intermittent Wipers, and a Trip Computer INTERIOR OPTIONS: a Leather Wrapped Steering Wheel, Cloth Seats, an Adjustable Lumbar Seat(s), an Adjustable Steering Wheel, Air Conditioning, a Driver Illuminated Vanity Mirror, Bucket Seats, a Pass-Through Rear Seat, a Passenger Illuminated Visor Mirror, a Rear Window Defroster, a Bench Seat, Floor Mats, a Reading Light(s), and Vanity Mirrors EXTERIOR OPTIONS: Aluminum Wheels, Privacy Glass, and an Auto Headlamp SAFETY OPTIONS: a Back-Up Camera, Electronic Stability Control, Brake Assist, Daytime Running Lights, a Drivers Air Bag, a Rear Head Air Bag, Anti-Lock Brakes, a Front Head Air Bag, a Passenger Air Bag Sensor, a Front Side Air Bags, Child Proof Locks, and a Passenger Air Bag We're glad you found this used Chevrolet Equinox for sale at our car dealership in Athens, GA. Looking for financing? Our Heyward Allen Toyota finance specialist will find the best rates available for this used Chevrolet Equinox for sale. Heyward Allen Toyota has new cars for sale and used cars for sale in Athens. DESIRABLE FEATURES: MOONROOF, BACKUP CAMERA, BLUETOOTH, and REMOTE ENTRY. This front wheel drive used 2015 Honda Civic Sedan EX features a Crystal Black Pearl exterior with a Black interior and has only 82,004 miles. TECHNOLOGY FEATURES: This Honda Civic Sedan includes Steering Wheel Audio Controls, Keyless Entry, Keyless Start, an Auxiliary Audio Input, an Anti Theft System, an AM/FM Stereo, an MP3 Compatible Radio, Bluetooth Connection, and a Single-Disc CD Player STOCK# A018873 PRICED BELOW MARKET RETAIL VALUE! Heyward Allen Toyota has this used 2015 Honda Civic Sedan EX for sale today. Don't forget Heyward Allen Toyota WILL BUY OR TRADE FOR YOUR USED CAR, USED TRUCK and/or USED SUV! Our Used Car Dealership in Athens, GA: Call Heyward Allen Toyota today at (706) 433-0433 TO SCHEDULE YOUR TEST DRIVE of this 2015 Honda Civic Sedan EX! Heyward Allen Toyota serves Athens, GA and the surrounding areas. You can also visit us at, 2910 Atlanta Hwy Athens GA, 30606 to check it out in person! MECHANICAL FEATURES:This Honda Civic Sedan comes Factory equipped with an impressive 1.8l i4 sohc 16v i-vtec engine, an variable transmission. Other installed mechanical features Include Power Windows, Power Locks, Traction Control, Front Wheel Drive, Power Mirrors, Cruise Control, Disc Brakes, a Tire Pressure Monitoring System, Intermittent Wipers, Tires - Rear Performance, a Trip Computer, Variable Speed Intermittent Wipers, Power Steering, Remote Trunk Release, a Spare Tire (Small Size), and Tires - Front Performance INTERIOR OPTIONS: a Sunroof, Automatic Climate Control, a Moon Roof, Cloth Seats, Bucket Seats, Air Conditioning, an Adjustable Steering Wheel, a Pass-Through Rear Seat, a Bench Seat, Floor Mats, Vanity Mirrors, and a Rear Window Defroster SAFETY OPTIONS: Electronic Stability Control, a Back-Up Camera, Daytime Running Lights, Brake Assist, a Drivers Air Bag, a Rear Head Air Bag, Anti-Lock Brakes, a Front Side Air Bags, a Passenger Air Bag Sensor, Child Proof Locks, a Front Head Air Bag, and a Passenger Air Bag We're glad you found this used Honda Civic Sedan for sale at our car dealership in Athens, GA. Looking for financing? Our Heyward Allen Toyota finance specialist will find the best rates available for this used Honda Civic Sedan for sale. Heyward Allen Toyota has new cars for sale and used cars for sale in Athens. Recent Arrival! Clean CARFAX. This is a sporty, economical compact SUV. Super value!, 18 x 7 Aluminum Wheels, Body Color/Mineral Gray Grille, Bright Exhaust Tip, Cloth/Vinyl Low-Back Bucket Seats, Heated Front Seats, Leather Wrapped Steering Wheel, Mineral Gray Fog Lamp Bezels, Mineral Gray Gloss Compass Badge, Mineral Gray Gloss Jeep Badge, Mineral Gray Gloss Roof Rails, Mineral Gray Liftgate Applique, Mineral Gray Sport SE Badge, Quick Order Package 24H Sport SE Package, Rear Bumper w/Mineral Gray Step Pad, Steering Wheel Mounted Audio Controls.Hot Options Include:, Meticulously Detailed inside and out, Passed Rigorous Safety Inspection Performed by a Certified Technician, Fresh Oil Change,22/26 City/Highway MPGBright White Clearcoat 2016 Jeep Compass Sport FWD CVT 2.0L I4 DOHC 16V Dual VVTHeyward Allen is the home of the Worry Free research folder, providing you with complimentary carfax history report, reconditioning repair orders, price comparisons, and for GM vehicles, warranty history and factory build sheets. All Figures Exclude Tax, Tag, Title and registration and INCLUDES Dealer Fees. Dealer retains all rebates. Price does not include Accessories Proudly serving the following communities: Athens, Watkinsville, Bogart, Bishop, Statham, Greensboro, Eatonton, Madison, Jefferson, Commerce, Winder, Monroe, Loganville, Gainesville and Elberton. If you don't see it, we can get it! Toyota CERTIFIED! This front wheel drive Certified Pre Owned 2014 Camry Hybrid Hybrid XLE features a Super White exterior with a Ivory Cloth interior and has only 84,735 miles. TECHNOLOGY FEATURES: This Toyota Certified Camry Hybrid for sale includes Steering Wheel Audio Controls, Keyless Start, Keyless Entry, Multi-zone Climate Control, an Auxiliary Audio Input, an Anti Theft System, an MP3 Compatible Radio, Bluetooth Connection, an AM/FM Stereo, and a Single-Disc CD Player STOCK# A027848 PRICED BELOW MARKET RETAIL VALUE! Heyward Allen Toyota has this 2014 Toyota Camry Hybrid Hybrid XLE ready for sale today.Don't forget Heyward Allen Toyota WILL BUY OR TRADE FOR YOUR USED CAR, USED TRUCK and/or USED SUV! DEALER CONTACT INFO: Call Heyward Allen Toyota today at (706) 433-0433 TO SCHEDULE YOUR TEST DRIVE of this 2014 Toyota Camry Hybrid Hybrid XLE! Heyward Allen Toyota serves Athens,GA & the surrounding areas. You can also visit us at, 2910 Atlanta Hwy Athens GA, 30606 to check it out in person! MECHANICAL FEATURES: This Toyota Camry Hybrid comes Factory equipped with an impressive 2.5l i4 hybrid dohc engine, an ecvt transmission. Other installed mechanical features include Power Windows, Front Wheel Drive, Traction Control, Power Mirrors, Power Locks, Cruise Control, a Tire Pressure Monitoring System, Disc Brakes, Intermittent Wipers, a Spare Tire (Small Size), a Trip Computer, Tires - Rear Performance, Remote Trunk Release, Tires - Front Performance, Variable Speed Intermittent Wipers, and Power Steering INTERIOR OPTIONS: Automatic Climate Control, Cloth Seats, Bucket Seats, a Pass-Through Rear Seat, an Adjustable Steering Wheel, Vanity Mirrors, a Bench Seat, and a Rear Window Defroster SAFETY OPTIONS: Electronic Stability Control, Brake Assist, Daytime Running Lights, Knee AirBag, a Drivers Air Bag, Anti-Lock Brakes, a Rear Head Air Bag, a Rear Air Bag, Child Proof Locks, a Passenger Air Bag Sensor, a Front Head Air Bag, a Front Side Air Bags, and a Passenger Air Bag Toyota Certified Pre-Owned: With this 2014 Toyota Certified Camry Hybrid Hybrid XLE, you have far more than just a used vehicle. You have confidence, pride and a vehicle that you can trust. You're Toyota Certified Camry Hybrid can be counted on to go the distance with higher resale value.This CPO vehicle has passed a stringent certification process in order to qualify as Toyota Certified. Your 2014 Toyota Camry Hybrid was subjected to a comprehensive 160-point inspection and a thorough reconditioning process using Authentic Toyota Parts. Along with industry-leading heritage comes another advantage; an exceptional coverage policy. With a 12-month/12,000-mile Limited Comprehensive Warranty a 7-year/100,000-mile Limited Powertrain Warranty plus one full year of Roadside Assistance, honored at more that 1,400 Toyota dealers in the U.S. and Canada, we've got you covered. CARFAX One-Owner. Clean CARFAX.Hot Options Include:, Meticulously Detailed inside and out, Passed Rigorous Safety Inspection Performed by a Certified Technician, Fresh Oil Change,27/39 City/Highway MPGBrilliant Silver 2016 Nissan Altima 2.5 S FWD CVT with Xtronic 2.5L 4-Cylinder DOHC 16VAwards:* 2016 KBB.com 10 Best Sedans Under $25,000Heyward Allen is the home of the Worry Free research folder, providing you with complimentary carfax history report, reconditioning repair orders, price comparisons, and for GM vehicles, warranty history and factory build sheets. All Figures Exclude Tax, Tag, Title and registration and INCLUDES Dealer Fees. Dealer retains all rebates. Price does not include Accessories Proudly serving the following communities: Athens, Watkinsville, Bogart, Bishop, Statham, Greensboro, Eatonton, Madison, Jefferson, Commerce, Winder, Monroe, Loganville, Gainesville and Elberton. If you don't see it, we can get it! This front wheel drive 2017 Hyundai Elantra Value Edition features a Phantom Black exterior with a Beige interior and has only 30,847 miles. TECHNOLOGY FEATURES: This used Hyundai Elantra includes Satellite Radio, Keyless Entry, an Anti Theft System, an Auxiliary Audio Input, an AM/FM Stereo, an MP3 Compatible Radio, and a Single-Disc CD Player STOCK# A008755 PRICED BELOW MARKET RETAIL VALUE! Heyward Allen Toyota has this used 2017 Hyundai Elantra Value Edition for sale today. Don't forget Heyward Allen Toyota WILL BUY OR TRADE FOR YOUR USED CAR, USED TRUCK and/or USED SUV! Our Dealership in Athens, GA: Call Heyward Allen Toyota today at (706) 433-0433 TO SCHEDULE YOUR TEST DRIVE of this 2017 Hyundai Elantra Value Edition! Heyward Allen Toyota serves Athens and the surrounding Georgia cities. You can also visit us at, 2910 Atlanta Hwy Athens GA, 30606 to check it out in person! MECHANICAL FEATURES: This Hyundai Elantra comes factory equipped with an impressive 2.0l 4-cylinder dohc 16v engine, an automatic transmission. Other installed mechanical features include Power Windows, Traction Control, Front Wheel Drive, Power Mirrors, Power Locks, Disc Brakes, a Tire Pressure Monitoring System, Intermittent Wipers, a Spare Tire (Small Size), Variable Speed Intermittent Wipers, Remote Trunk Release, Power Steering, and a Trip Computer INTERIOR OPTIONS: Cloth Seats, Bucket Seats, Air Conditioning, a Pass-Through Rear Seat, an Adjustable Steering Wheel, Vanity Mirrors, a Bench Seat, and a Rear Window Defroster SAFETY OPTIONS: Electronic Stability Control, Daytime Running Lights, Brake Assist, Anti-Lock Brakes, Knee AirBag, a Drivers Air Bag, a Rear Head Air Bag, Child Proof Locks, a Front Side Air Bags, a Front Head Air Bag, a Passenger Air Bag Sensor, and a Passenger Air Bag We're glad you found this used Hyundai Elantra for sale at our car dealership in Athens, GA. Looking for financing? Our Heyward Allen Toyota finance specialist will find the best rates available for this used Hyundai Elantra for sale. Heyward Allen Toyota has new cars for sale and used cars for sale in Athens. Are you shopping for a used car while your budget is tight? Whether you are a habitual bargain-hunter who is always looking for a great deal, or someone who happens to be in need of a reliable used car at a time when you don’t have tons of extra cash lying around, we have some fantastic options for you. Toyota is famous for producing high value cars that run for decades, and as a result, you can find an incredible deal on a used Toyota under $15,000 in Athens, GA.
We provide as much value as possible in every part of our business, so whether you’re buying a new car, securing a used car, getting some maintenance done, or purchasing replacement parts, we always make it worth your while. You will enjoy interacting with our qualified and friendly team of experts, and you will love the car that you ultimately buy. If you have any questions about our used cars under $15,000, our services, or anything else, please let us know. Searching for “Toyota Used Cars Near Me”? We know you have better things to do than travel long distances to find a great deal on a used car, and that’s why we are conveniently located right in the heart of Athens, GA. Access our dealership by taking route 10 or Highway 78, and easily commute to our location from Ashland, Bogart, Statham, Watkinsville, Crawford, or any other surrounding areas. We also have a shuttle service available, so if you are here for maintenance, you can still run errands and get things done. Get in touch with any questions about our location! Are you looking for an efficient, comfortable compact car for daily use? Check out our inventory for a used Corolla for under $15K — we are almost certain to have some in stock. As you know, these popular cars sell quickly, so get signed up for a test drive at your earliest convenience! For something with some more space, check out our lineup of the best-selling Toyota Camry — you can even get a hybrid for under $15K, so make your move as soon as possible. Believe it or not, you can even lock down an incredibly luxurious Toyota Avalon for under $15,000, so if you need to see it to believe it, stop by our dealership. You can also get other popular Toyota models for under $15k, like the Rav4, base-model Highlander, Toyota Yaris, and more; all you have to do to find a great deal is to keep an eye on our online inventory. How Are We Different from Other Used Car Dealerships Near Athens, GA? We always strive to offer the very best best products and service in Georgia, but don’t take our word for it — we’ve been the highest rated dealership in Athens according to both Google reviews and DealerRater. We also have a comfortable, pet friendly waiting area, shuttle service, factory certified technicians, and much more — stop by to see what’s happening at Heyward Allen Toyota.